Cider with cranberry and rosehip. Semi-sweet, and somewhat tart. I am liking this. Tart, light fruity flavour. 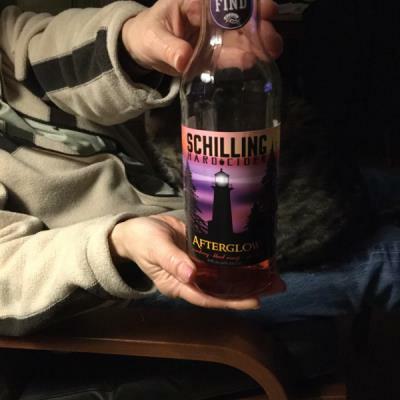 I tend to be quite partial to Schillings fruit specialty ciders. This is a specialty cider that is probably not going to be around for very long. Mainly apple with blood orange and rose hip--It has a medium fruit nose and a slightly semi dry tartness from the cranberry. I can't really decide if I have any strong feelings about it. It's OK but it doesn't seem to be very interesting to me.